What is your definition of success, and how do you know when you’ve finally reached it? 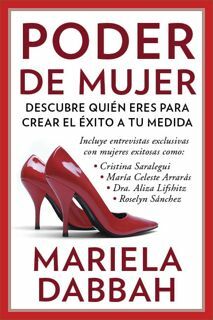 According to Mariela Dabbah, author of the new book Poder de Mujer, the idea is to think about your personal and professional success as a path rather than a destination. And while everyone’s path is different, there’s one question we all have to ask ourselves along the way: what exactly are we working towards? Before attempting to figure that out, it’s important to realize that there may be things hindering you on your path of success, even on a subconscious level. For example, in your early life you receive certain messages from your family that contribute to the way you think about yourself and your abilities. Unfortunately, if these messages are negative, they’re powerful enough to make you believe something about yourself that isn’t necessarily true. Just as there are messages that we’ve grown up with, there are skills, conversations, and experiences that we may have missed out on. These gaps in our upbringing can affect our success as well. 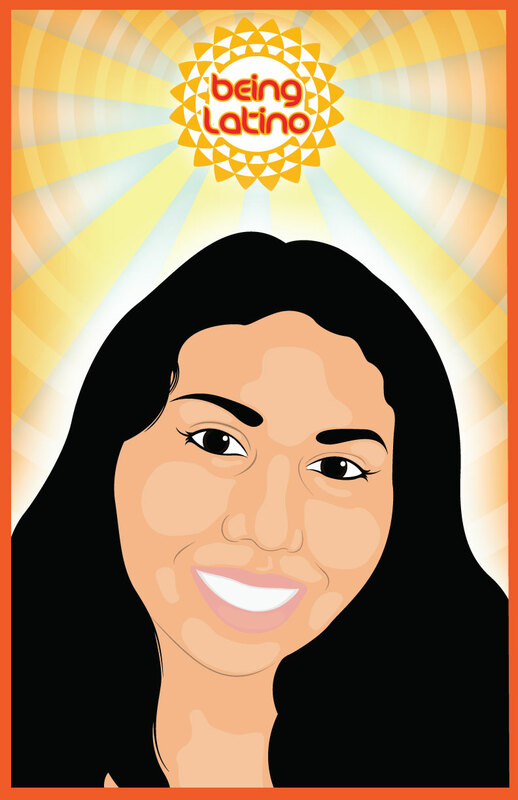 “When you grow up in a family that doesn’t have an education, has not been in this country for many years, and you come from a working class, then most likely, during your dinner conversations and interactions, you’re not talking about certain things that families who are more educated and who are more established financially spend time talking about,” says Mariela. Another factor that affects us is our concept of time. 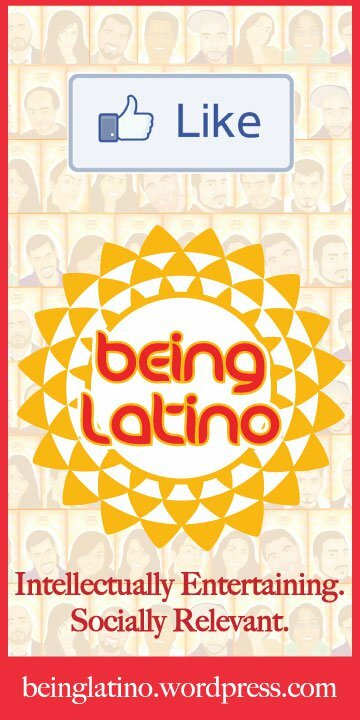 We’re all familiar with Latino time, which is very different from the way Anglo-Saxons perceive time. We also don’t usually set concrete plans for the future. This is obvious even in our language. How many times have you heard the words Si Dios quiere after making plans to do something? While the first half of Poder de Mujer exposes these buried aspects of our culture that can slow you down, the second half gives excellent guidance on controlling your emotions without losing your passion, the art of negotiating, the secrets of networking, and the importance of finding people who support you and give you feedback on your endeavors. Each chapter of the book begins with an interview of a successful woman such as Cristina Saralegui, Maria Antonietta Collins, and Maria Elena Salinas. And plenty of real-world advice is scattered throughout the book as well. In her 18 years of experience, Mariela Dabbah has written several books focusing on careers, education, and professional development for Latinos, but this is her first book written exclusively for Latina women. As a Latina woman myself, there were many parts in this book where she seemed to be speaking directly to me, and I felt somewhat exposed. Fortunately, she didn’t leave me out in the cold. Her words motivated me to clarify my goals and helped me identify the steps I needed to take to achieve them. For many of us, fear stops us from doing what we need to do, but as Mariela says, “Las mujeres exitosas no tienen miedo.” So what are you waiting for? Take the first step in following your own unique path. Success may be just around the bend. Join us tomorrow (2/8) at 9 p.m. EST for our “Ask the Author” Tweet Chat. 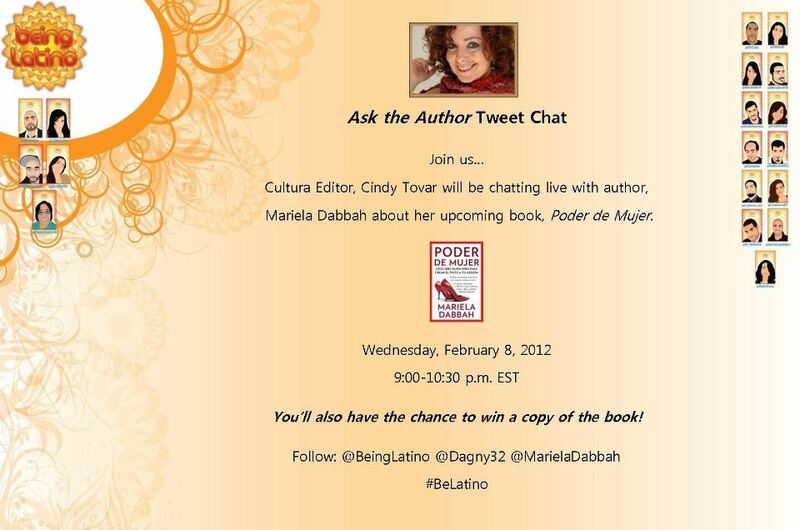 You’ll have the chance to chat directly with Mariela and a chance to win a copy of her book. To learn more about Cindy, visit Cindy’s Chronicles.